New: I can confirm, per a senior intel source, that tonight at 5pm the House Intelligence Committee will vote on releasing Nunes's memo to the public. They will also vote on releasing the Democratic memo countering Nunes's memo. Hse Intel Cmte votes along party lines to release GOP FISA memo. Cmte votes to block Dem memo. Cmte says it is probing DoJ/FBI. Republicans on the House Intelligence Committee, apparently disregarding Justice Department warnings that their actions would be “extraordinarily reckless,” voted Monday evening to release a contentious secret memorandum said to accuse the department and the F.B.I. of misusing their authority to obtain a secret surveillance order on a former Trump campaign associate. The vote threw fuel on an already fiery partisan conflict over the investigations into Russia’s brazen meddling in the 2016 presidential election. 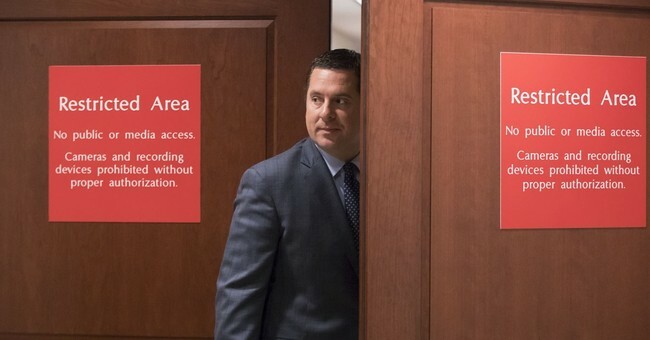 Republicans invoked a power never before used by the secretive committee to effectively declassify the memo that they had compiled. Democrats called the three-and-a half-page document a dangerous effort to build a narrative to undercut the department’s ongoing Russia investigation, using cherry-picked facts assembled with little or no context. What comes next was less clear. Under the obscure House rule invoked by the committee, President Trump now has five days to review the document and decide whether to try to block it from going public. The White House has repeatedly indicated that it wants the memo out, but Mr. Trump’s Justice Department had been working to slow or block its release. The memo, which was made available to all members of the House, is said to contend that officials from the two agencies were not forthcoming to a Foreign Intelligence Surveillance Court judge. Republicans accuse the agencies of failing to disclose that the Democratic National Committee and Hillary Clinton’s presidential campaign helped finance research that was used to obtain a warrant for surveillance of Carter Page, a Trump campaign adviser. The research presented to the judge was assembled by a former British intelligence officer, Christopher Steele. President Trump has five days to block the release of the memo, but the White House seems to be heavily leaning towards having this document released. A counter memo written by the Democrats was also released to the whole House body, which is the process that the House GOP memo went through prior to this vote. It was not blocked, something that ranking member Rep.Adam Schiff (D-CA) did not mention in his presser after the vote.